Kaspersky is a fan favorite in the AV world, while Norton is a longtime brand that's not nearly as beloved. Who wins when these two suites mix it up? If there’s one antivirus suite that gets people excited it has to be Kaspersky. The popular suite from Russia-based company Kaspersky Labs is a favorite among tech types, and that’s despite the controversy from 2017 where the company was accused of being a tool of Russian intelligence. 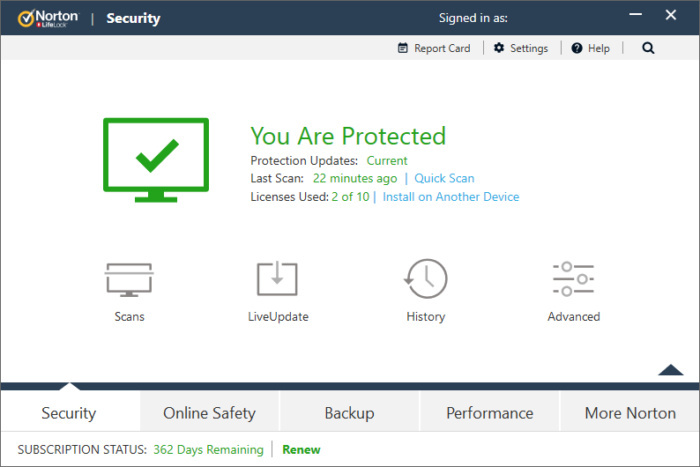 Then there’s Symantec’s Norton Premium Security, a go-to security solution for many years that’s still a great choice—and our current favorite antivirus suite. Both are popular choices for protecting your PC. Let’s take a look at how they compare in key categories in this head-to-head matchup. The desktop apps for Norton and Kasperksy both offer an easy-to-understand interface employing mobile-style tiles. 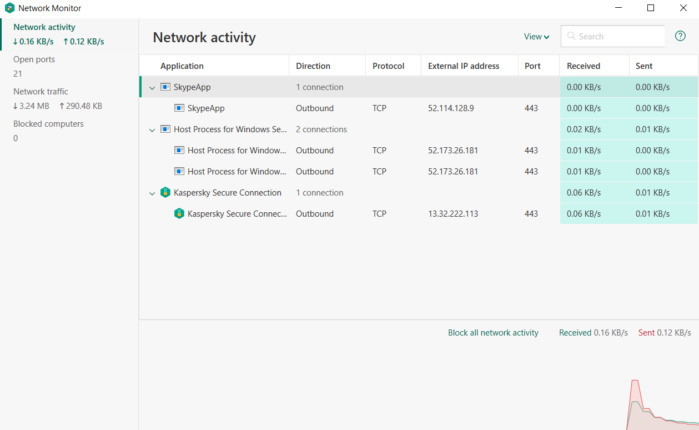 With Kaspersky, the primary screen has eight tiles representing various “modules” in addition to a More Tools button that leads to more options. Norton, meanwhile, uses five category tiles that let you jump into the app’s features from there. Kasperksy’s approach means you have to take fewer steps to get key features such as security scans, updates, and parental controls. The trade-off is that you have more options to sort through from the primary dashboard. Norton, meanwhile, requires an extra click to get to key features, but the starting dashboard is simpler with just a few categories. Both applications are easy to use and it really comes down to which approach you prefer. In our opinion, Norton is just a little bit easier to use than Kaspersky, but it would be totally reasonable to go the other way. Both Norton and Kaspersky showed little to no impact on performance when we ran PC Mark 8’s work conventional test after a full system scan. With Norton the PC’s performance improved slightly, while with Kasperksy performance remained more or less the same before and after installation. The file-conversion test using Handbrake yielded a similar result. Norton improved performance slightly, while things stayed more or less the same with Kaspersky. Norton Security Premium costs $55 per year for new users, and the standard price is $110 for protection of 10 devices. Kaspersky Total Security is $50 per year for a new user, and the standard price is $100 for five devices. The price-per-device makes Kaspersky one of the more expensive A/V suites. 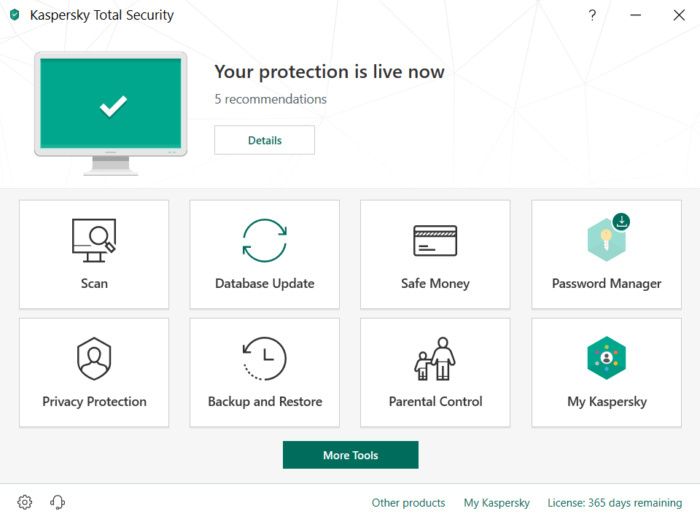 Kaspersky Total Security has a lot to offer when it comes to extra and non-standard features. It has a password manager, a sandboxed browser to protect financial transactions, a tool for blocking unauthorized access to webcams, a network monitor, PC cleaner, and a software updater. Norton has some similar features such as the password manager, PC cleaner, and PC optimization tools, but Kaspersky offers a lot more extras and they’re all fairly useful. In the most recent results from A-V Test, both Kaspersky and Norton scored 100 percent in September and October for the zero-day and widespread malware tests. Over at AV-Comparatives both suites scored very highly in the Real-World Protection and Malware Protection tests. In the Malware Protection test’s offline detection rate, however, Norton scored much lower than Kaspersky—81.5 percent versus Kaspersky’s 99.2 percent. Finally, at SE Labs both Norton and Kaspersky received a AAA ranking. 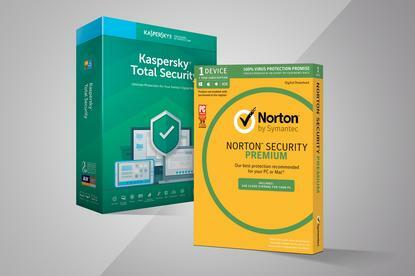 The bottom line is that both Norton and Kaspersky are excellent antivirus suites, but when you consider price, app design, performance, and protection we’re putting Norton ahead of Kaspersky. The latter is great for extra features, and protection is equal to Norton, but the price makes it less of a value.